A new musical theatre production developed in partnership with FLOS, exploring the experiences of women in Longbridge. In 2005, the MG Rover factory in Longbridge closed its doors for the last time. With over 100 years of history in the area, the loss of the factory had a huge impact on the community and it’s members. In partnership with FLOS (Friends of Longbridge Open Spaces), Women & Theatre wanted to devise a new musical theatre production that shared the experiences of women from Longbridge – their past experiences, current activities and aspirations for the future. Our Artistic Team led research sessions with diverse groups of women including residents at Longbridge ExtraCare Village, staff from the new shopping centre, members of the Austin Social Club tea dance, attendees at the Pride of Longbridge car festival and young women from The Factory youth centre. The gathered stories were then woven into a theatrical extravaganza with songs, dance & movement, which has been rehearsed over 6 sessions with a community cast and was performed in Longbridge Town Centre on Saturday 23rd June 2018. In November 2018, the cast and creative team reunited to record a special show for Brum Radio where they discussed the creative process, which you can listen to here. Partners: Friends of Longbridge Open Spaces (FLOS). 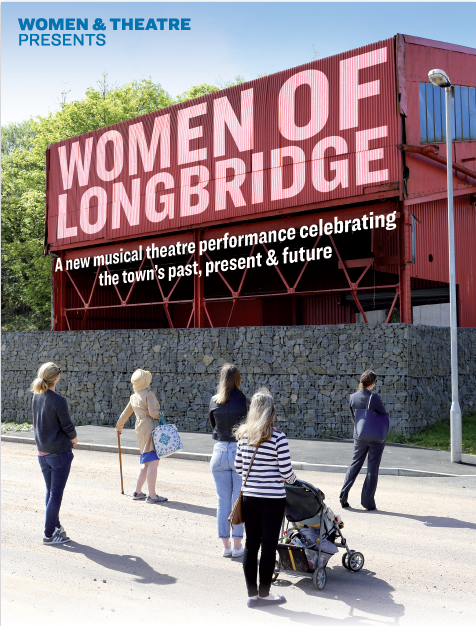 After the successful performance of Women of Longbridge on Saturday 23 June, the cast and creative team recorded some of the show’s most memorable songs, you can listen to them below.